The Washington, D.C., office has been part of HOK’s United States network since 1968. Designer of the National Air and Space Museum in D.C. and the NASM Steven F. Udvar-Hazy Center in Chantilly, Virginia. Designer of the Chevy Chase Center in Maryland, the Consolidated Forensic Laboratory in D.C. and the National Mall landscape makeover in D.C. Designer of 10 U.S. embassies, including the embassy in Moscow and its annex, for the Department of State. Follow the Washington D.C., studio on Instagram. Follow HOK’s Washington, D.C., studio on Instagram. The renovations to George Washington University Corcoran Hall make this historic landmark shine again. 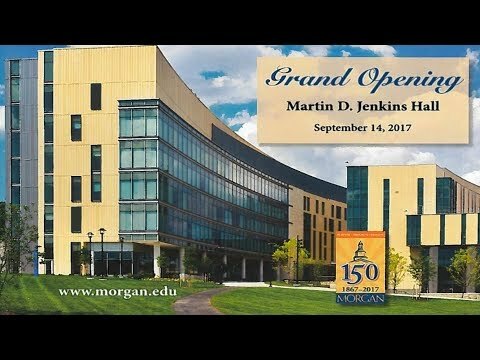 The new Jenkins Hall Behavioral and Social Sciences Center is the centerpiece for liberal arts education on Morgan State University’s Baltimore campus. CBS Morning News visited HOK’s Washington, D.C., office to find out how employees take advantage of the Summer Fridays perk. Read a Q+A with Susan Klumpp Williams, the newest member of HOK’s executive committee. Bill Hellmuth, HOK’s chairman and CEO, has been elevated to the AIA’s College of Fellows. Suzette Goldstein leads the planning studio in HOK’s Washington, D.C., office and is co-director of the firm’s global planning practice. The Steven F. Udvar-Hazy Center is an extension of the original National Air and Space Museum, which together showcase the world’s largest college of aviation and space artifacts.